It’s common to feel impatient when standing in a check-out line in a grocery store line or trying to board a bus behind an elderly person who moves very slowly. It’s not unusual to see an old person as an impediment to what we have to accomplish during our busy day. It’s much less common to wonder who that person was and what they accomplished in their lives 20, 30 years or more years ago. A new project in Jerusalem aims to bring awareness of the value of honoring the elderly to the public. Using the hashtag #Honorisinthestory and opening to the English and Hebrew-speaking public on June 1, 2018, the Takum Museum aims to honor the stories of who the pioneers of Israel were before they were old. 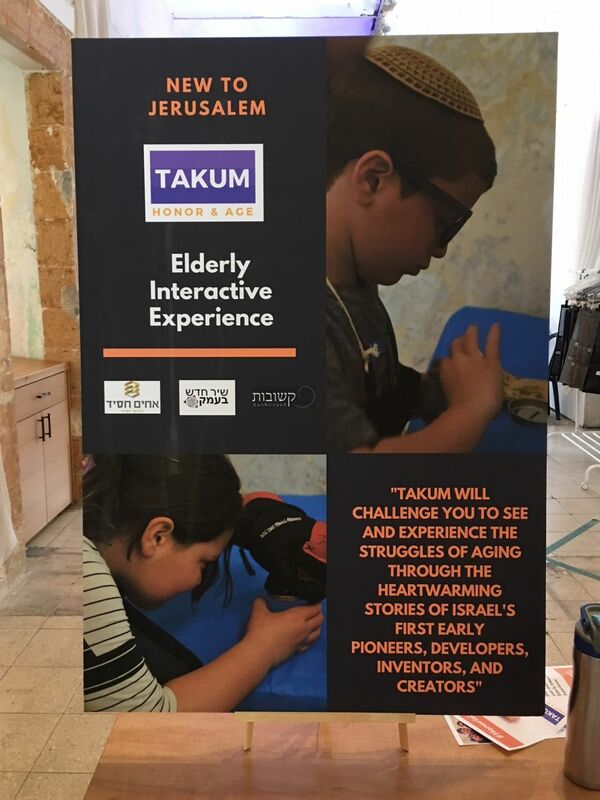 The museum, also known as the Takum Elderly Interactive Experience, offers sensitivity training to the public, to help them better appreciate the challenges of aging. Along with tour guides and educators, I was invited to preview the museum before its formal opening. Although I’m not yet elderly, I’m also not as young as I once was. And last summer, I had serious surgery on my left knee, so I can appreciate from personal experience how physical limitations complicate the tasks of daily living. The museum’s approach is to have the able-bodied person experience the limitations that come with aging. The experiences are only approximations and, for the museum-goer, they are blissfully temporary, but they are enough to help you see the elderly in a new way. The experience I can't forget was being asked to walk backwards across a zig-zag line on the floor, using a hand mirror to mimic a sense of spatial disorientation. That was humbling. It was also an effective experiential teaching of empathy for the elderly, whose youthful identities and accomplishments are often erased, and whose daily challenges are generally invisible to most able-bodied people. In the Torah portion of Mishpatim, we are taught a number of Divine lesson in empathy towards those who do not have all the gifts and blessings we have. “You shall not wrong a stranger or oppress him, for you were strangers in the land of Egypt. Empathy is a core Jewish value that the Takum Museum brings home in a very concrete way. The museum is currently located on Emek Refaim in the heart of Jerusalem’s German Colony and will operate there over the Summer of 2018. The experiential museum will be open by reservation only and takes about 90 minutes to fully experience. Through role play and approximation of the physical limitations of the elderly, participants are able, “to feel what it feels like. 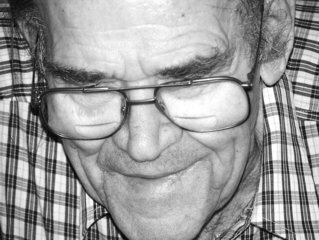 To step into the shoes of the elderly and understand what they are experiencing. They have a story. Although at the end of their lives they are looking weak, they have a story about what they contributed,” explained Rena Glazer, founder of the Takum Museum and Director of Project Development for Kashouvot, the museum’s sponsoring organization. Intended for multicultural audiences, the Takum Museum and its related projects help make the value of empathy for the elderly come alive. For more information, contact Rena Glazer at rena@kashouvot.org. What does Judaism have to say about aging, the aged, and the treatment of the elderly? See answers from Orthodox, Conservative and Reform rabbis here.